Music streaming service Spotify is reportedly testing its own voice search feature, allowing users to find artists, songs, albums, or playlists faster. According to a new report from The Verge, the feature is in closed beta for selected iOS users at present, and can be accessed by tapping the magnifying glass icon at the bottom of the app. If you’ve been granted access, you’ll see a microphone icon inside a white bubble in the lower corner of the screen. Tap it. You’ll then get a tutorial of the voice search feature, which is currently available in English in the US. You’ll then have to approve permissions to your phone’s microphone, and finally, at that point, you can tap the new mic icon and start barking your commands to Spotify. 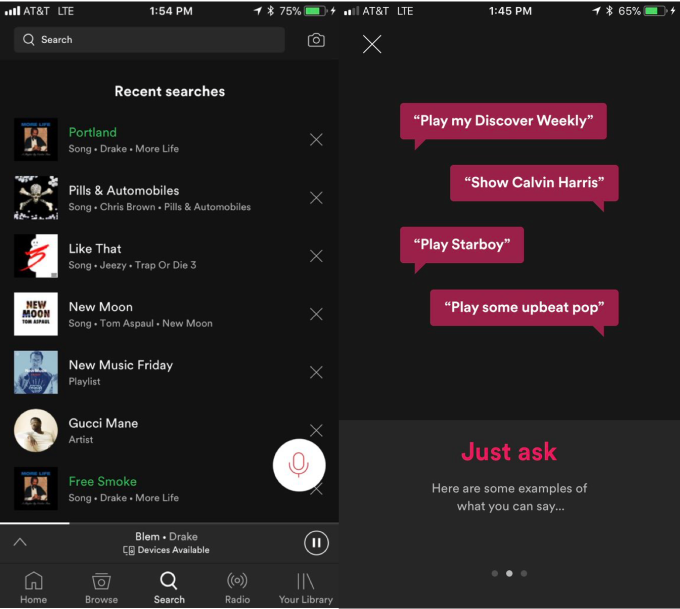 After users tap on the icon, Spotify suggests a number of typical requests for a voice-controlled music system: “Show Calvin Harris,” “Play my Discover Weekly,” and “Play some upbeat pop,” for instance. At this point, Spotify’s voice assistant feature appears relatively basic, which makes sense given that it’s in early and limited testing. Spotify’s development of such a product has many wondering whether the Swedish streaming company is planning on releasing some sort of smart speaker to compete with Apple’s HomePod and Amazon’s Echo. 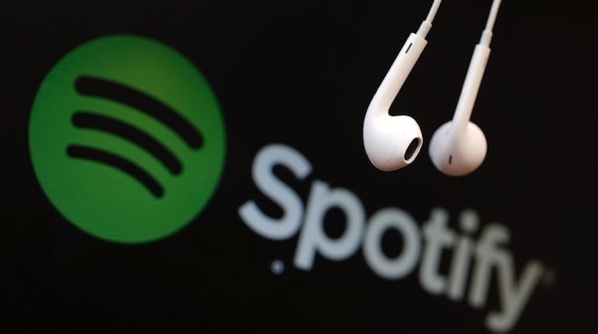 Research and development on the new product has reportedly progressed to the stage that Spotify is already working on setting up the supply chain and hiring operations managers and project managers to oversee the business. 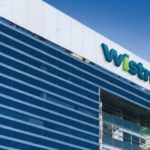 That, alongside the new public test of its voice recognition technology, suggests that the company may be ready to begin production imminently. If these rumours are indeed true, it would allow Spotify to potentially put a microphone in every user’s home. A Spotify spokesperson confirmed to The Verge that the voice assistant is “Just a test for now,” as only a small subset of users have access currently, but the company noted there would be more details to share later.